In an espionage case sure to create a stir in the nation’s capital, agents with the FBI quietly and discretely arrested a contracted intelligence staffer on charges that included leaking top-secret intelligence to a news organization in January 2018. 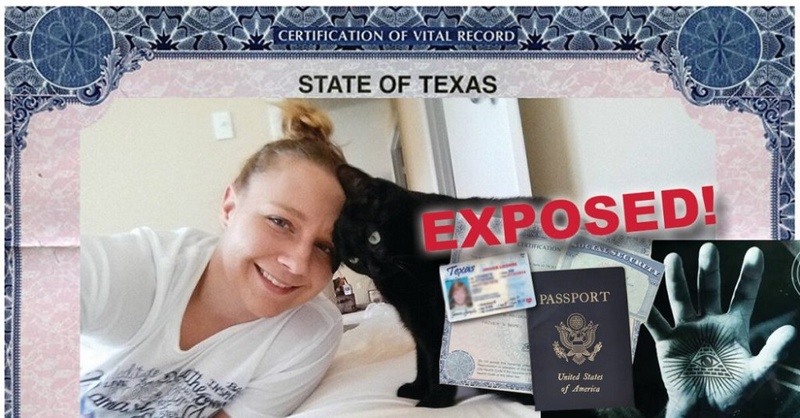 The National Association of Chiefs of Police confirmed the suspect named Reality Leigh Winner, 26, who was arrested for her involvement in the leaking of a top-secret National Security Agency document to The Intercept that detailed alleged Russian hacking operation targeting US voting systems, was sentenced to 5-years in federal prison by U.S. District Court Judge J. Randal Hall in Augusta, Georgia. The Intercept is best-known for its publication and coverage of leaked documents on government activities provided by Edward Snowden. It appears that the NSA under Barack Obama spent more time spying on the American people that on the “bad guys” overseas. Ms. Winner was hired by Pluribus International Corporation in early February and held top secret security clearance, the Justice Department said. The company’s clients include the Defense Intelligence Agency, US Army, and US Central Command. 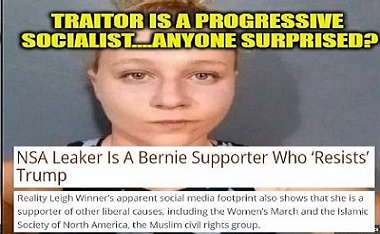 According to one source at the FBI, the alleged leaker who had stolen a classified report and gave it to the Intercept online news site did much on social media that should have been suspicious for someone desiring a job in government intelligence. And Police Officer Joe Dettritch said her political leanings are as far left as supporting Bernie Sanders for President. She also indicated a deep-seeded dislike for President Donald Trump and other Republican leaders. During the last presidential election cycle, a man named Julian Assange single-handedly alerted a large number of American voters about the secretive, devious and hypocritical goings-on at the Democratic National Committee headquarters and their connections to the Hillary Clinton for President campaign and members of the so-called mainstream news media. The damage done to the Democratic Party as a result of the leaked information may never be fully gauged. Instead of looking at cyber security considerations at the DNC — which is a political party and not part of the U.S. government — Democrats in both houses of Congress prefer to make wildly absurd accusations about President Donald Trump, Russian President Vladimir Putin, and anyone else they can drudge up in order to portray themselves as victims. Also, instead of asking the appropriate committees in the House and Senate to probe the nation’s vulnerability to foreign espionage — especially cyber espionage — the Democrats got the Justice Department to select a special prosecutor to investigate the alleged cyber crimes perpetrated against their own political party. In addition, the supporters of the New World Order, both Democrats and Republicans serving in both houses of the U.S. Congress continue their baseless accusations of collusion by the Trump campaign and the Russian government especially its political strongman President Vladimir Putin. 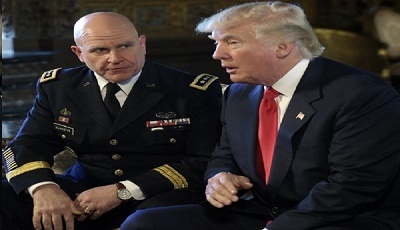 President Trump and General H.R. McMaster, the national security adviser. Intelligence collection is no longer limited to classified national defense information but now includes targeting of the elements of national power, including our national economic interests. Moreover, foreign intelligence tradecraft is increasingly sophisticated and takes full advantage of advances in communications security and the general openness of US society. In short, the foreign intelligence threat is more challenging than ever. In the fall of 2003, the Foreign Counterintelligence Program had investigations involving dozens of countries that focused on hundreds of known or suspected intelligence officers who were assigned to enter or travel within the United States. These investigations spanned all 56 field offices. A centralized program will also ensure that infrastructure issues will be consistently addressed and coordinated in order to ensure workforce expertise, that staffing matches the articulated foreign intelligence threat, and that a sufficiently broad and reliable intelligence base is developed. From this foundation, the Foreign Counterintelligence Program will be positioned to achieve its strategic objectives and ultimately reach its goal to prevent harm to the United States through foreign intelligence activity inimical to US interests, claim some experts. In just the past year, the Foreign Counterintelligence Program has been invigorated by the introduction of a new and innovative National Strategy for Counterintelligence and a program plan, both of which are proactive in emphasis. At the same time, additional resources were introduced to the program. To enhance counterintelligence workforce expertise, a new four-week Counterintelligence Operations course was developed. The FBI plays an essential role in the US government’s counterintelligence efforts and has the responsibility to produce domestic foreign intelligence in support of other members of the intelligence community. The FBI also has the responsibility to oversee the integration of domestic law enforcement and intelligence efforts to address intelligence threats in support of Director of Central Intelligence imperatives. The counterintelligence strategy involves centrally managed, proactive, and nationally directed initiatives, with prioritized and strategic objectives that support DCI imperatives, overseen by experienced headquarters managers. For her “heroic” flash in the pan, she will spend the rest of her like in prison. When she looks in the mirror she will see the stupid azz who put her there.